OLD PARKED CARS. 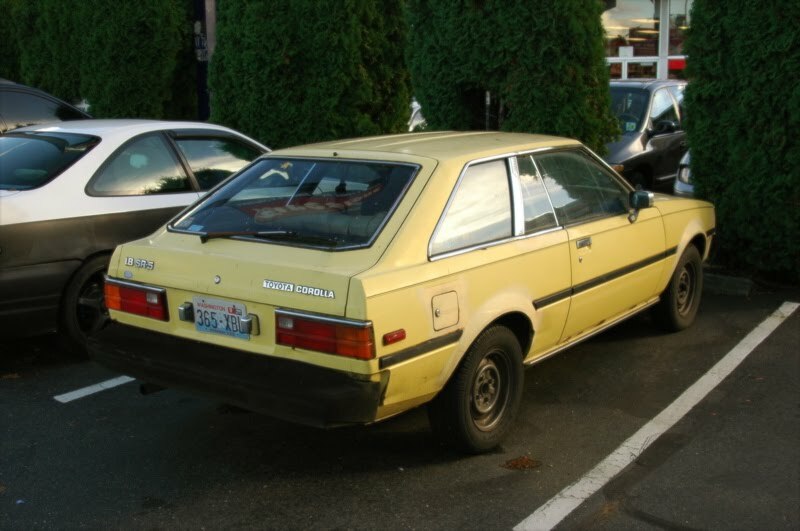 : 1982 Toyota Corolla SR-5 Liftback. 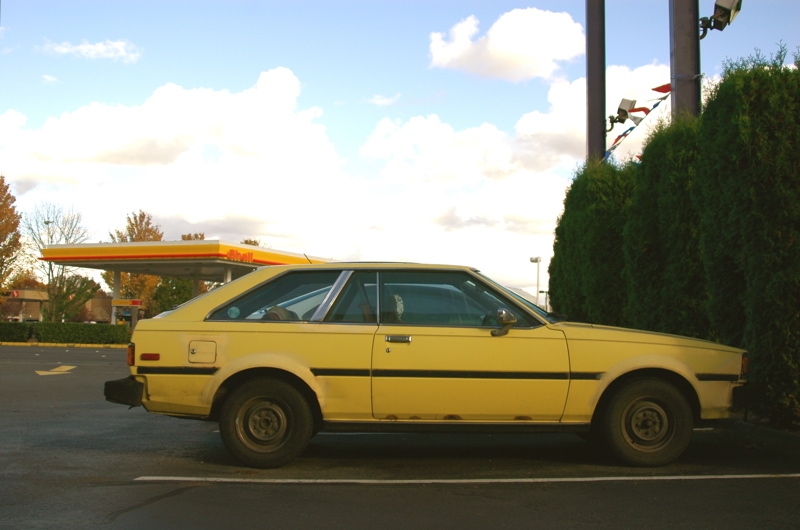 1982 Toyota Corolla SR-5 Liftback. Believe it or not they're stock. 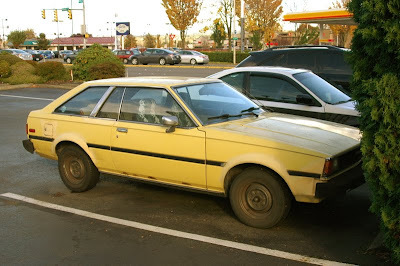 I knew someone years ago with the same car. It's not a bad look for it in person. Yeah, actually on JNC's photobucket, there is a pic of one of these in a scrapyard with the same steelies.